Butterfinch Bridge was designed by Tracey Cartledge for Northwich Community Woodlands. The bars for the bridge were designed to look like reeds. Each reed shape was individually hand forged and shaped using the jig, allowing each one to be made slightly differently. When the reeds were complete, the design included many different creatures familiar to the locality. 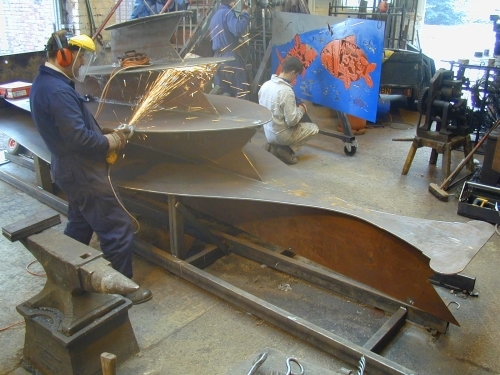 Frogs, snails, birds and beetles were intricately handcrafted in bronze and firmly welded into the bridge. 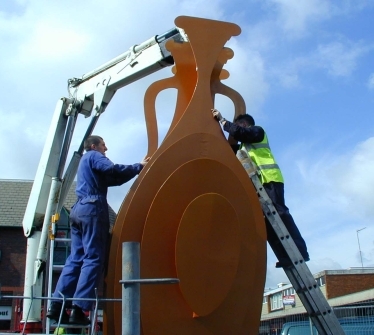 "Timelines" is a large sculpture of an amphora in Dunstable town centre, designed by Adrian Moakes. 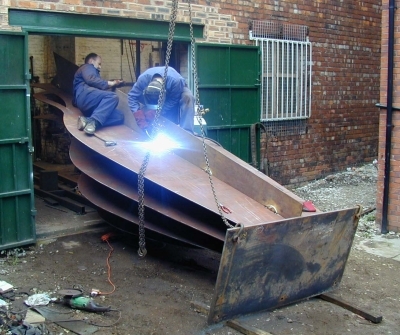 As can be seen here, this was a massive installation! 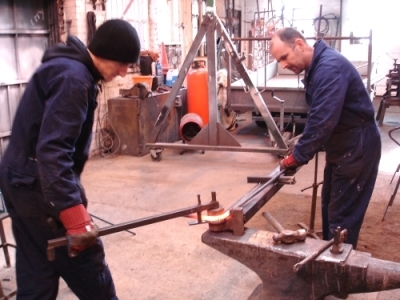 The sculpture was produced in two halves, which were then fixed together along a central spine when in position at Dunstable.